Late lunch . 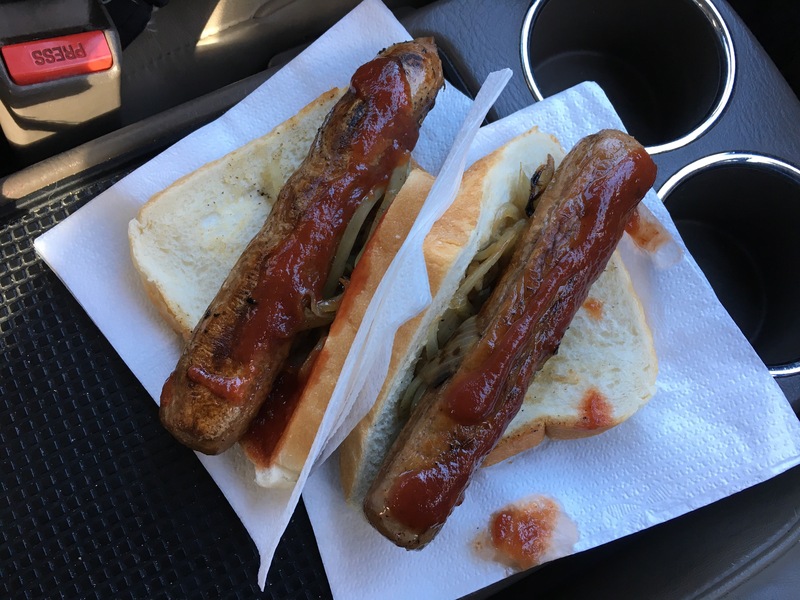 My $5 lunch from Bunnings. Bunnings have a sausage booth on the weekends . I saw they’ve now extended it to Thursdays and Fridays as well. It’s their community service contribution as the booths are fundraisers for the local groups. Today it’s for the Lions club. Have been ticking off my list all morning . Had to send a photo to the volunteering mob to include in the annual report for my new position. Forward quote to hubby. 5.1K what a rip off. Paid for the membership for my pharmacy association. Forward email to the youngest re: her host sister. Saw the oldest was in an agreeable mood so go her to prep for my stew. I’ve since got my stew together and it’s cooking away happily in the oven. Have told the youngest to watch out for it as if it’s burnt there’s no dinner. Since my niece is here have delegated the two girls to wash my dishes.